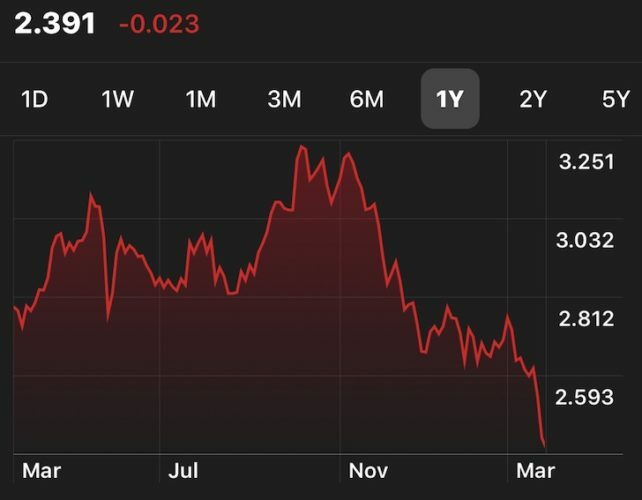 The 10-year bond yield is now at ~2.39%, a one-year low. As recently as November 2018, the 10-year bond yield was at 3.2%. The 10-year bond yield should make you SALIVATE! A ~0.8% decline in mortgage rates since 4Q2018 is significant. Instead of allowing my 5/1 ARM to reset to 4.5% from 2.5% this summer, I can simply refinance my 5/1 ARM to a new ARM at around 3%. While this rate is higher than my current 2.5% rate, it is still 0.75% – 1% lower than it was in 2H2018. Further, an average rate of 2.75% over a 10 year period (5 years at 2.5%, 5 years at 3%) is still much lower than a 3.5% 30-year fixed rate mortgage I was considering back in 2014. If I let my 5/1 ARM adjust this summer, my new payment would be about $3,700/month, down from $3,907/month. Why is this? Despite the mortgage interest rate rising from 2.5% to 4.5%, my monthly payment declines because we paid down the mortgage from $990,000 to $700,000 in five years (-29%). Paying down principal during the fixed rate period is what many ARM opponents forget about. But the real potential cash flow savings are derived by comparing my upcoming 4.5% rate to the new 5/1 ARM rate I can get if I refinance now at 3%. In other words, my cash flow improvement is the difference between $3,700/month at 4.5% and $2,951/month at 3% = $749, a significant amount of change. However, there is no free lunch. The appraisal, application, processing, and underwriting fees for a new mortgage may cost ~$1,700 and the title and escrow fees may cost ~$1,300 for a total of $3,000, before any credits. One common method used by homeowners to help defray the cost of refinancing is to add the refinancing costs to the loan amount. Note: there is no such thing as a “no-cost refinance.” If you don’t have any closing costs, the lender baked the cost into your rate. On a million dollar loan, a 0.8% – 1.375% lower mortgage rate is an annual interest savings of $8,000 – $13,750. If the cost to refinance is $3,000, you’ll have covered your cost in just 4 – 6 months. A general rule of thumb is that you should refinance if your refinance cost is covered within 12 months. In other words if your refinance costs $3,000, your monthly interest savings should be at least $250. The 12-month barometer is also on the condition you will live in your house for at least 13 months, preferably much, much longer. The longer you plan to live in or own your home, the more you can afford to violate the 12-month rule. Stick to at most a maximum 24 months break even given the average homeowner lives in his or her home for only about nine years. When it comes to refinancing, there is also a PITA factor to consider as well. You’ll have to provide your last two years of tax returns, your last two months of pay stubs, and potentially other financial documents to the bank during the underwriting process. Then you’ll need to sign a binder full of documents and set up new auto payments. But when it comes to saving and making money, none of us should be afraid of doing a little extra work. It’s extremely easy to run the numbers once you get some legitimate quotes. If a recession is really going to hit, we’ll be happy to be saving money each month. 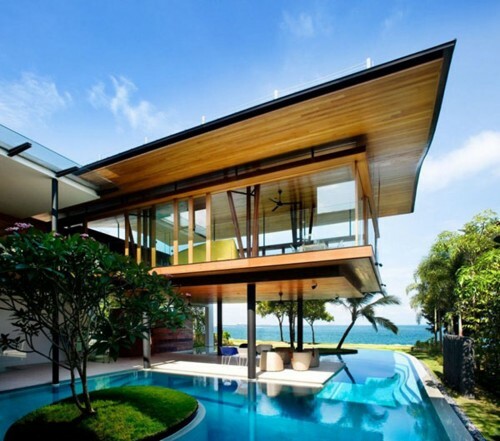 If the bull market continues, we’ll be absolutely ecstatic to not only be saving money but experiencing further appreciation in our beloved homes. You can check online for the latest mortgage rates with LendingTree as opposed to going to each lender one by one. They have a massive mortgage lending market where they make lenders compete for your business. Be forewarned, they are on the more aggressive side in contacting you. But when it comes to refinancing your mortgage, you want lenders who are hungriest for your business. Then of course you should check with your existing bank who has your mortgage to see what they can provide for you. They don’t want to lose your business, so they should be incentivized to provide you the best rate possible. Despite ~3.8% being the current average rate for a 5/1 ARM according to Freddie Mac, I’ve successfully locked in a 10/1 ARM at 3% worst case with a refinance cost of less than $1,000. In an upcoming article, I’ll discuss my mortgage refinance strategy to help you get the lowest interest rate possible as well. If rates don’t fall further on their own, I’ve still got some levers to pull to try to get my 10/1 ARM down to 2.875%. I’ll let you know what happens. In the meantime, start getting legitimate quotes right now as leverage during the negotiation process. Homeowners, have you checked the latest mortgage rates? If so, are you refinancing now or waiting for even lower rates? Can you believe how lucky we are that rates have collapsed again? Feel free to share some of the latest mortgage rates you found after looking around. I got a 30 yr mortgage at 5% and finalized the closing last week. Just learned about inverted yield curve and its impacts.. would be possible to refinance so soon? Would prefer to keep the same lender but not sure if they will be open to discuss it in the short term. Any advice will be very appreciated. Interesting! I don’t know much about this so I appreciate the articles. We just got a new house last year, 30 yr @ 3.875%. we didn’t do much down but I pay an extra $180 per month. The plan is to increase that when our student loans are all done. Would I be right to assume refinancing right now wouldn’t give me a huge benefit if I already plan to pay an equivalent of a 15 year fixed? Esp with lower expected market returns I plan to shore up some money market and pay a bit extra towards the mortgage. How are you able to score such great rates? I have been calling lenders, they are quoting me 3.25 and a fee. 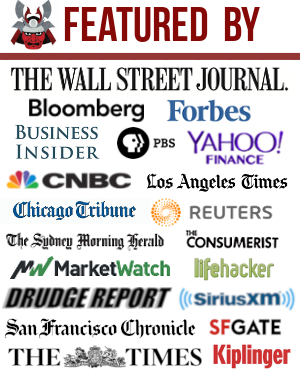 I am on a 3.5% fixed 30 year rate from 4 years ago(mistake i made not take ARM then) in the bay area. Do I have to apply to know the real rates? They often say if you bring a competitive rate we’ll try to match or beat the rate. Also rate changes every day, wondering if i need to keep calling them everyday based on TNX index fluctuation? The question how do i know if the rate I locked is more than today’s rate, obviously they won’t be forthcoming and say there you go take a discount. I am eagerly awaiting to learn your strategy in approaching this. I have subscribed to many financial blogs, but this is the one I without fail read when it gets to my inbox. the content you put out is awesome, I am sad to see you are considering selling this..hopefully your life goals will be met with the sale (you deserve it!) and the new owner will continue to publish such great content. Don’t forget about pulling money out of your house when you refinance! I’ve always considered it one of the nicest attributes of owning a house. One of my rentals is an $800,000 property which has its 5 year turnover coming up soon. It has gone up in value over $200,000 since I bought it and if I can pull out that cash at a low interest rate I’m going to be all over it. I figure I can beat the 3% interest I’ll be paying anyways :) I could buy another house with that money! 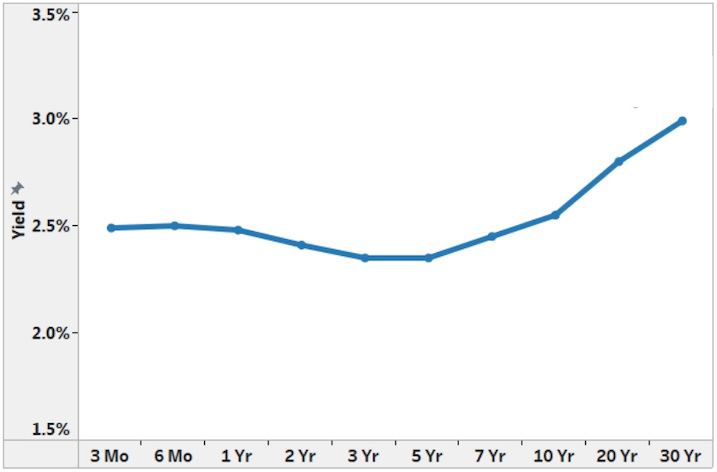 7 years left on a 10yr fixed @ 2.75%. Only paying $450 in interest on a $2,518 payment reinforces our decision to lock in a fixe rate when we did and not be in a hurry to upgrade. Hard to envision ever having a fixed rate this low again. Right now, I have a 4.125% on a 30 year fixed. I’d refinance, but I just closed on the property a year ago and don’t want to pay closing costs again so quickly. I also am sticking with what I got because when my lender ran the numbers for me back when I was deciding what type of mortgage to get, the difference between a 30 year fixed and a 7/1 ARM wasn’t even $10! That’s primarily because–despite living in a high COL city–my mortgage was only $90,000 (currently $80,000). The difference is very tiny when your purchase price is only $120,000 (you should see people’s faces when I tell them that). Though this article has got me considering one day changing to a 15 year fixed. I chose the 30 due to the flexibility of having a smaller monthly minimum and I’ve been automatically paying an extra $200 each month, but technically that puts me as having another 23 years to go. I’ll have to run some numbers somewhere down the line. Great article, Sam. Your mortgage articles always are and this one definitely got me thinking. Yeah, with a mortgage that small and so new, just keep it and forget about it! Options are always pertinent to have. I really like the idea you gave to get as much leverage as you can when going into a refinance so you can play your cards as well with the bank and not be able to be taken advantage of. I especially agree to that it’s always best to keep trying to aggressively pay off the mortgage because just by having it, it is taking up your valuable time thinking about it. Thinking about payments, refinancing, etc. I think that’s one of the things a lot of people forget about. Also, I did some checking of rates here in Oregon where I live and they seem a lot higher than a lot of other parts of the country including the Bay area. The thing to watch for with mortgage refinancing that few people point out is that even at a much lower rate you may end up paying more in total than you were before refinancing. That’s because during the first few years of a new mortgage you’re paying more interest than later, and with the refinancing, all those payments are for nought. For example, let’s say you get a ten-year mortgage at 4% on a $250,000 house with no down payment or costs and want to refinance at 3.5% after two years. So your balance is now $207,652 and you’ve paid $18,399 in interest. If you don’t refinance, you have to pay an additional $35,336 in interest over the next eight years. If you do refinance at 3.5% on that $207,652, however, you’ll have to pay $38,754 in interest over the next ten years. Never refinance without doing all the math. Refinancing isn’t a scam, but it’s a great way for banks to get more interest payments because of the amortization schedule. I like to refinance to get myself options, and then aggressively pay down my mortgage when I have more cash flow and don’t know where else to invest. I have always paid off extra principal over the years. That is an outstanding point that I tried in vain to use to convince my Mother in Law not to refinance. She did anyway. Will pay more interest and her payment didn’t go down much. The balances in play were not large. As for my own situation, I doubt I will have an opportunity to refi again. We have done 3 refi’s, all of which were no brainers. The last one was 6 years ago – 2.75% at 15 years fixed. My first mortgage way back in 94 was 8.5%. I cannot imagine doing better than 2.75 now. With the 10 Year – 3 Month Treasury interest rates having already inverted. Would it be a smarter play to take advantage of the current low mortgage rates? Or would it be smarter to wait on real estate investing until a downturn? 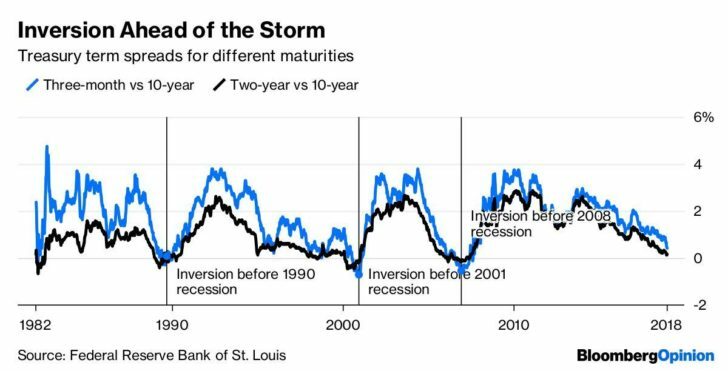 Now the caveat is that this yield curve inversion might end up being a false positive and there is no guarantee of a recession within the next 12-24 months. Another issue might be that mortgage rates might go back up in the next 12-24 months and I would have missed out on the current low interest rates. With real estate I’m guessing the answer is almost always going to be “it depends”? Or is it always best to just get into the game as soon as possible. We got a 3.5% 30 year in 2012 and decided to stick with that. Most of our student loans were 6.8% and 2nd mortgage is a floating rate so we prioritized paying those down first. I probably would have prioritized the 2nd mortgage over my 4.5% student loans if I knew the mortgage deduction would be going away. After those are paid off, I would consider a 15 year or ARM if I could get the rate down to 3%. Hi- my 7 year arm at 3.8% resets in about two years. $550K outstanding on a 1.4M market value house. Since it is a little further out do I stay with what I have until last 6 months or move now to do a 7 or 10 arm? Also was keeping balance high for interest write offs but given poor economy I guess I continue to paydown the balance to get that lower to 300k or so. About to hit 50 so seems like paydown should start to be more aggressive and maybe that means I take standard deduction now. FYI- really waiting on your next post to clarify who your lender is so I can reference that back to my local bank. Thanks for insights. Well done! Shall we compare other things as well? Ah, so good to save save save. Real estate prices gonna heat up again. The data will show it to be true. Please share the lender and contact person. That is the best rate I’ve seen for a 10/1 ARM. Citibank is only at 3% for a 10/1 ARM with a $2,800 credit towards closing. does it amortize or interest only? I definitely fell for the fear factor when I did my mortgage and locked in 30 year fixed four years ago. Great rate by today’s standards at 4.0%, but a 10 year ARM would have been a lot cheaper then, and your logic makes perfect sense. I’m shopping around now to see if I can secure a 10 year at or around that 3%. That would save me a ton monthly, and give me plenty of time to figure out if I want to keep or sell the place in 10 years time. Thanks for the information. I will look into re-financing some of my mortgages on my rental properties as well as inquire about re-financing the mortgage on my primary home. A bit of stale data, but 1.5 months ago, I was able to get a 30 year fixed on a rental property for 4.25%, no points. This is a portfolio loan and cannot be sold to fannie or freddie. Great article Sam and perfect timing for me. I am so glad you came up for a rule of thumb on when to refinance and how often to do it. I was going to ask if you didn’t talk about it. Looking forward to seeing your next article. As I definitely want to save as much money as possible. What are your thoughts on rates going even lower in the future? I now you asked us, but I anticipate that. But I am also in the camp of low interest rates forever, unless we get a nasty case of hyper inflation. Two weeks ago, my lender said that I could probably get a rate a hair below 3.5% on a ARM product. Wonder what it would be now. Good call on refinancing! It can be a pita and time consuming to go through the process but it’s totally worth it to save money. The difference in rates and payments can make such a significant savings each month and over the long term. Thanks for including the chart. I’m amazed to see how much rates have dropped recently. Who is the Lender? The lowest I’ve seen is 3.25% on a 5/1 ARM. I would a 3% or 2.875% on a 7/1 or 10/1 with $1k in fees in a heart beat! The big reveal will be in the next article. Clue: stick with your relationship bank where you have plenty of assets. It doesn’t matter so much who my lender is. is the ARM Interest Only or does it amortize? I have 4yrs left on 7Y IO ARM at 2.5%. Hoping to refi at close to same rate sometime over the next 4 years. Rate on 5Y IO Arm is currently around 3.5%. Thanks for this article, Sam. Very timely. My lender is offering to re-finance for me at no cost. This would save me .5 – .75% on my interest rate and about 160-200$/month. I asked why they would do this at no cast and they said that it is because they will get a commission when the re-sell my mortgage, which will more than cover the costs of re-financing for them. I would just have to bring up front escrow costs. In the article you say there is no such thing as a no-cost refinance, but they are claiming it exists in this case. Does this sounds like a no-brainer to re-finance here? I’m excited about it because this in combination with a reno I am doing will definitely allow me to move out of my duplex, back into a more desirable part of town and cash flow the property. Same here. My original broker called to give me a lower APR for $2500 in fees. Shopped around through bankrate, and first lender I spoke to offered same rate without any fees. So I’m thinking they do offer no cost AND he knows I’m comparing to make sure he doesn’t tack on fees somewhere in this process. With my 30 yr locked at 3.375% I would need the 5/1 to be at least a percentage lower to refinance. Or is there another way to quantify the amount? Hi you usually share where you are getting good deals. Several in post have asked who is offering you 10/1 ARM at 3% with a refinance cost of less than $1,000. I asked my existing bank and nobody has rates like that. Can you provide a little more around amounts you are looking to refi and source? Do you think now (Q2 2019) is a good time to invest in new real estate? Financing might dry up if/when the economy goes into a recession, but prices would be lower. Real estate is local, so it depends on where you want to invest. There is a tremendous amount of liquidity in the system, so I don’t think liquidity will dry up even in a recession. One very possible scenario is real estate outperforming as the stock market sells off. Stock market money heads to a real estate as a defense of investment with interest rates going lower and rents staying stickier. This is what happened in 2000. I would say buying any risk acid at this point is riskier than normal given the price increases over the past seven years. Therefore, real estate buyers really need to negotiate aggressively and run the numbers. I’ve been thinking about this lately. It seems that there are a lot of people with dry powder waiting to pounce on any downturn. I’m relatively young (37), and my only real experience with investing in a downturn was the crisis when liquidity dried up overnight. I’m not sure how the next downturn will play out with so many people able to invest and hoping to repeat the success of investors who bought into the last recession/early recovery. Maybe I’m just stuck in an echo chamber spending time with financially responsible people and reading blogs like FS. When it comes to adjusted period, does the new rate be using the original loan amount as basis or the remaining loan balance? Woow – where do you see that speech? The possibilities of raising the central bank’s 2% inflation target is scary. I must go out and buy, buy, buy more hard asset and use bank leverage. Even a small decrease to 3% coming from 3.5% can go a long way in terms of saving money with interest. And we all definitely here to save money. Especially if you consider long periods such as 15 years. We should always be focused as a hawk when trying to save here. Better yet, don’t have a mortgage! Rent, sell the house if it is too ridiculously expensive or work hard to pay it off. I’m on a 10/1 arm with Union Bank, at 4%. As we have aggressively paid it down from 624k to 150k in the last 4 years (a portion came from a rental sale), I’ve been looking at refinancing but recently I got a HELOC offer for 1.99% for 9 months, so now I’m using their money (Union Bank) to save myself 2% on a good chunk for the next 9 months, and will pay that back before it adjusts. We will likely have our mortgage paid off by the end of 2020, but the heloc is a nice option to access cash quickly, then turn around and refi back to a better rate. Bottom line- nothing better than using the banks money on the same bank to save yourself $$. So does this make it a good or a bad time to buy in San Francisco? Thinking about taking the plunge for the first time. Thanks! I’m all about the no cost refi! I just did one last month at 5/1 arm for my primary residence here in la with us bank and got the rate down to 3.375% no cost. Takes maybe 20 mins to gather the docs and send in and another 20 for a notary to come to your house and sign. Not sure why people over complicate this. Another lender who gave me quotes in the past reached out on Friday and told me rates have dropped and he could get me 3.25% 5/1 arm at no cost so I locked it in lol to save $76/mo! Why not? I negotiated with him to cover half the appraisal and that’s really your only cost in a no cost refi and the only risk is that your appraisal won’t come in at 80% ltv which is probably rare these days since market has been on a bull run over past 10 years. The rate at my credit union isn’t that great. I’ll have to shop around a bit. If we can get a good rate for a 15 year fixed, we’ll think about it. I see 3.5% today. I’m seeing fixed rates as low as 2.875 with 0 points for 15 year term mortgages here in the South. If you can get the same in CA, is there any reason you’d choose a 10/1 ARM? Disclosure: The rates I’m seeing are for new purchases and may not apply to a refinance. On the other hand, I’ve gotten better-than-published rates calling around to mortgage brokers in the past. I bet I could find several sub-3% options with a few phone calls. Where are you seeing these rates? Those rates likely aren’t actually available. When looking on bankrate.com, other similar sites, or really any online or mailed advertisement regarding interest rates, loan companies use sketchy interpretation of advertising rules to post impossibly low teaser rates to grab attention. If you were to actually follow up and speak to a loan officer and get ‘pre-qualified’ and find out what rate is actually available if you were to actually refinance, you’d get quoted something much higher. No way anyone is getting a sub 3% 15 year fixed with no points with the bond at 2.4. Most people couldn’t even get that back in 2016 when the bond was at 1.6 and mortgage interest rates were at decade lows. Source: Was a mortgage loan officer for many years (quit < 1 year ago). I’ve run up against a wall with a 3%, 10/1 ARM, $2,800 in credit towards closing costs. I can’t get my relationship bank down to the psychologically more pleasing 2.875% rate, even if I bring in over $2M in assets. Maybe I can squeeze them to cover all closing costs. What do you think about the terms? That’s an excellent loan. Good call going with a 10/1 this time around, it’l be nice to know you’re set with a great rate with no worries for the next 10 years. Also, having < 1k costs means if at any point in time in the next 10 years rates go down even lower, you can refinance again without worrying about running up your loan amount. As far as getting your bank down lower, I don't know the specifics but I imagine you've probably already squeezed them about as far as you can with that deal. Maybe you could try shopping it? If you got a written offer from a competitor perhaps that could do the trick. That being said, because you already have a very, very strong offer on the table I'm not sure how likely it is you'd be able to find something better. May be worth a shot though. Unfortunately I can’t get a mortgage with a conventional mortgage because my condo association buys the minimum flood insurance requirement and each unit holder needs to purchase supplemental flood insurance. The big banks don’t seem to lend to this situation. I got a quote from Loan Depot today for 3% 5/1 ARM with a ~$2000 credit or 3% with no points for 7/1 ARM – I currently have a 5/1 2.625% rate that is due August 2020 – would you recommend for me to get into a new ARM at this point a year from when my current one is due? I have 2.6% 30yr fixed. On what sort of balance? There’s a big difference between $130k and $1.3M mortgage. Payment is lower for a 10/1 ARM or a 5/1 ARM vs a 15 year fixed, so that’s a positive optionality as I reinvest the proceeds elsewhere for hopefully a higher return. 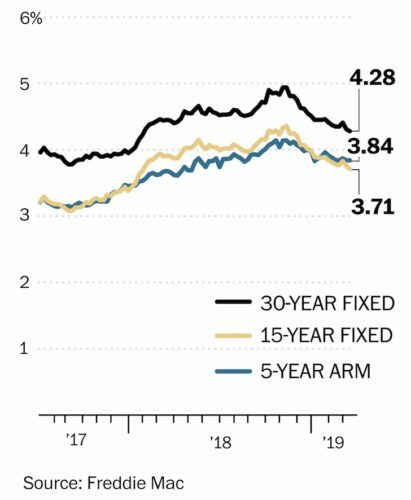 Refinancing to a 10/1 ARM is ideal for me at this rate because I don’t plan to have the loan for longer than 10 years and the 5/1 ARM rate was 12.5 bps higher due to a kink in the yield curve. 15-year fixed amortizes in 15 years vs 30 years, hence the higher payment. But if someone plans to pay off the loan before 15 years, then it’s not as efficient. Thanks. I hadn’t considered the lower payment. I don’t understand your last comment – that if you plan to pay off the loan before 15 years then it’s not as efficient. Could you please explain that for me? You’re not taking advantage of the lower interest rate, utilizing the leverage to your advantage if you pay off the loan quicker than it’s full term. In effect, you’re “losing” some of the money you “saved” with the lower interest rate. Mine will adjust in 2023. Hopefully, the rates will be even lower by then (fingers crossed)! After I moved from Florida, I bought my house in February 2016 with a 5/1 ARM, 3%. So still more than a year out. I was thinking of waiting a bit.